ICE requested that Ever Valles, an illegal alien, be detained until they could collect him. Instead, as you can see here, the Denver Sheriff faxed ICE on December 20th, 2016 that he would be released later that same day. Thus, ICE had no time and in essence, no chance to arrest and detain this illegal criminal alien. Weeks later, on February 7th, Valles and a partner robbed and murder 32 year old Tim Cruz. One of the suspects accused of killing a man at a Denver light rail station was incustody in Denver and wanted for possible deportation by federal authorities when he was released from jail weeks before the murder. 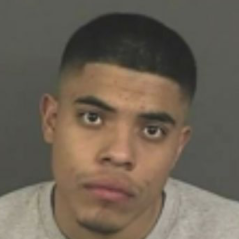 Ever Valles is currently in jail in Denver along with another man for the killing of Tim Cruz, 32, on February 7. He and Nathan Valdez were formally charged Friday for murder. The two also are accused of trying to rob Cruz. Immigration and Customs Enforcement had placed a detainer on Valles after Denver police arrested him in October 2016 for car theft and other charges. That means ICE wanted to be notified of any pending release because he was suspected of being in the United States illegally. “Ever Andres Valles, 19, a citizen of Mexico, was encountered by ICE via the Criminal Alien Program following his arrest on local charges in October 2016,” ICE told FOX31 in a statement Friday night. “At the time of his arrest, ICE placed a detainer with the Denver County Jail. The detainer wasn’t honored, and he was released by the jail Dec. 20, 2016, without notification to ICE. Valles is a known gang member whose gang history is documented in the Colorado gang database. Due to his criminal history and gang affiliation, Valles is an ICE immigration enforcement priority.” Read more…. Because of the leftist policies of the Denver Sheriff, a man was murdered. Every crime committed by an illegal alien is preventable. Build a wall. Hold them in jail. And finally deport them.